So if you have never roasted cabbage, try it now! 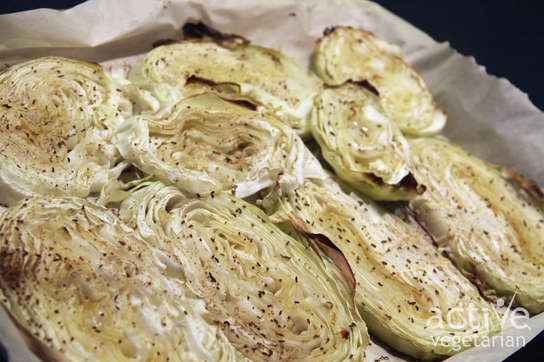 Roasted cabbage is so good that you could even serve it as an appetizer or as a snack. Even children love it! Brush a rimmed baking sheet with 1 tablespoon extra-virgin olive oil. Place 1 medium head green cabbage, cut into 1-inch-thick rounds, in a single layer on sheet and brush with 2 tablespoons oil.